Mt. 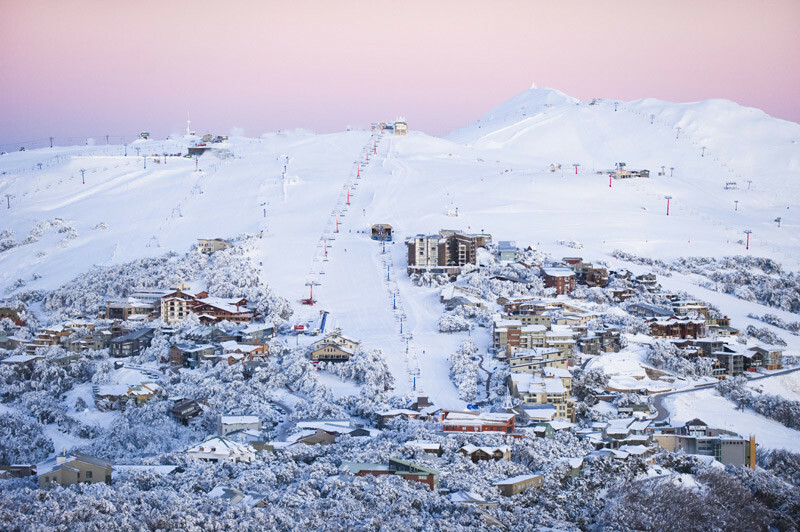 Buller Ski Resort is the most accessible ski area in Australia and has the largest lift network in Victoria. The resort and alpine village treat spectators to gorgeous mountain scenery and excellent accommodation options. Mt. Buller is about a three hour drive from Melbourne. The Mt. Buller Village has ski in, ski out accommodations with a wide range of restaurants, bars, and nightlife options. Mt. Buller Ski Resort has trails that can suit any ability level ranging from long groomers to wide open snow fields. The ABOM Express chairlift on the Northern side of the mountain has long beginner runs and a smaller learning area. Intermediate skiers will find great terrain options off the Summit and Wombat chairlifts. Mt. Buller is an easy three hour drive from Melbourne and is a great mountain getaway. The picturesque Mt. Buller Village sits at the base of Mt. Buller and is home to lodging, restaurants and shopping. Mt. Buller is also a great summertime destination and offers world class mountain biking.